The PEAK 35 backpack is made for alpine tours. This backpack is very robust thanks to the use of the extremely tear and abrasion resistant material Nylon 420D Manstar. The broad, padded shoulder and hip straps distribute the weight of the load evenly between the shoulders and hips, ensuring a high level of wear comfort. A circumferential front zipper enables direct access to the main compartment. 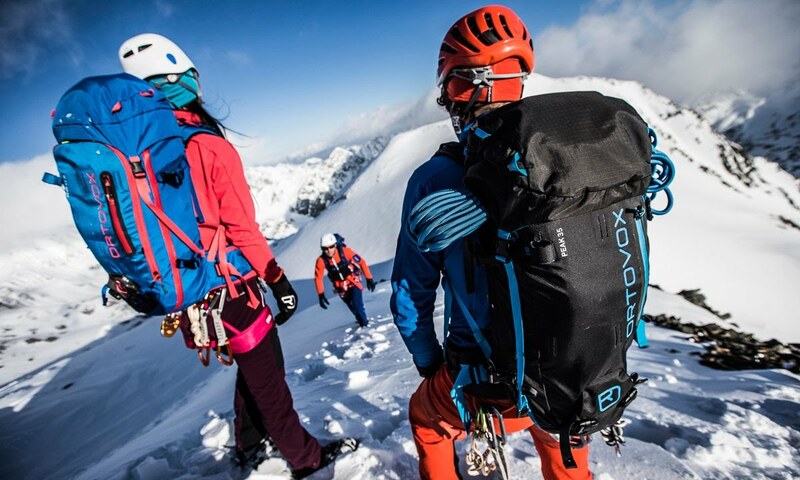 The PEAK 35 also scores highly with a separate safety compartment, attachment options for rope, ice axe and crampons, as well as a separate map compartment and a hip pocket. This backpack is also hydration system compatible and includes images of Alpine emergency signals. With 2 compartments including key holder. Perfekter Rucksack für lange Hochtouren. Sehr gut zu tragen mit praktischen Zugriffsmöglichkeiten. Bin sehr zufrieden mit dem Teil daher meine Empfehlung dazu. Super Rucksack angenehm zu Tragen, auch mit viel Gewicht. Reissverschluss ist im oberen Teil sehr Hilfreich zum Packen, sonst brauche ich in nicht. The best backpack I ever have! Perfect for short ski trips and also very good for hiking and mountaneering adventures. Very good fit! Mein Favorit unter den Rucksäcken!